Category A. Take the two modular practical tests on a bigger bike. (We us Honda 650cc and Kawasaki 650cc ER6′s also Yamaha XJ6). It must be capable of delivering 40KWH or 54 bhp (brake horse power). This route is known as the Direct Access Scheme (DAS) and is only available to people over 24 years of age or holder of a Category A2 licence. Again you must pass a theory test before taking the modular tests. Once you pass the “Big Bike” test you can ride any bike from day 1. The Practical Tests for DAS are the same as ROUTES 2&3 but to take advantage of the Direct Access Scheme route, you must take lessons with an approved Instructor and must be in radio contact. FORCE DAS Instructors are all qualified to Police Class1 Advanced level. Took my Direct Access with Force Rider Training after riding on my YBR 125 for just under 2 years. I originally took my CBT with Force and the method of training, care and attention they give me made it an easy choice to go back for my direct access. They gave me the confidence and the skills required to pass my Mod1 and Mod2 tests first time. I really enjoyed my few days with Force. Many thanks Andy and Mike!!!! Took my DAS with Andy & Mike over 5 days (including Mod 1 & 2 Tests) – great course guys. As a professional trainer myself I found the Guys really first class with focused detailed training delivered in a very friendly but yet assertive and safe way ensuring good tuition and success. Best wishes Andy and Mike. Stop what you’re doing and book your training with these guys. They really are the best around. If you want to be safe on the road and be a good rider then these are the ones to contact. 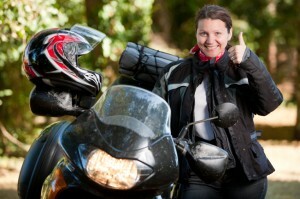 I started having never ridden a motorbike before and within a few lessons got the confidence to go for the DAS. One of the best things I have done! I’ve just passed my mod 2 today with a clean sheet and also passed my mod 1 with the same. I couldn’t have asked for better instructors! I took my cbt with Phil and did my DAS Training with Mike and Andy and have to say these are not only great instructors but great guys too! I would highly recommend anyone wanting to do their CBT or DAS to book in with these, you will not be disappointed! I’d just like to say thanks to you all for giving me the skills I needed and I will be back at some point to do my advanced rider training too. Now to get a bike and get riding! Initially did my CBT and then the DAS course with Force Rider Training culminating in passing my mod 2 today and thoroughly recommend them to anyone wanting to learn to ride properly. Any school can train people to pass the mod 1 and 2 but the guys here will teach you above and beyond the standard required for the test. Again, big thanks to Andy, Mike and Phil and I will definitely be back to take some advanced training with you guys. After seeing my son complete his CBT with Force I was inspired to return to biking after nearly 40 years. I had ridden a ‘ped when I was 16 and 250′s when all you needed was an L plate. I did my CBT elsewhere and came Force for the Direct Access course. For me, the approach Andy took was a great balance between direction and motivation. He was understanding and pragmatic in explaining the reasons he wanted things doing his way and I definitely benefited from that. After 40 years on the road it takes some effort to ‘learn’ all over again. Force explained that they have their standards and if I reached them then the test wouldn’t be a problem. They were right. I passed the Mod 1 with only 1 minor (49kph instead of 50 on the hazard avoidance test) and zero minors on the Mod 2. Thanks very much for an enjoyable but thorough experience! Best thing I have completed in a long time. I have had my brother-in-law nagging me for years to go for my bike test. Completed the CBT with Phil in March 2016, great laugh all day, informative, puts you at ease straight away. Completed the DAS course with Andy in June/July 2016. What can I say, “believe me” it was awesome. The instruction/lessons are structured in a way that when the penny finally drops, you realize “that makes sense”. I hadn’t ridden a motorbike since I was 19 and I passed at 50 with 2 minors on the MOD 1, left in gear when attempting the maneuver from Box to Box (idiot) and 49kmph in the swerve avoidance but passed the MOD 2 with a clean sheet. I cannot recommend these guys enough, the experience these guys have is unequalled and you cannot get better training than from ex-police riders/instructors. Keep up the great work, will have to call in for a brew soon. Did my full training with Force. Cbt first and then Mod1 and 2. Great bunch of guys, really enjoyed the training a nice mixture of road and off road riding which was spread over 3 days this was really good as i’d heard that it can be very tiring training day after day. Thanks again to Andy, Phil and Martin. I can’t recommend Force highly enough, very professional instructors teaching to ride not just pass the tests.